Explore the rich history of Virginia’s appellate courts through the stories of the men and women who have served. Elected by the General Assembly on December 2, 1794, to fill the vacancy created by the resignation of Henry Tazewell and qualified on April 13, 1795. Service terminated by death. 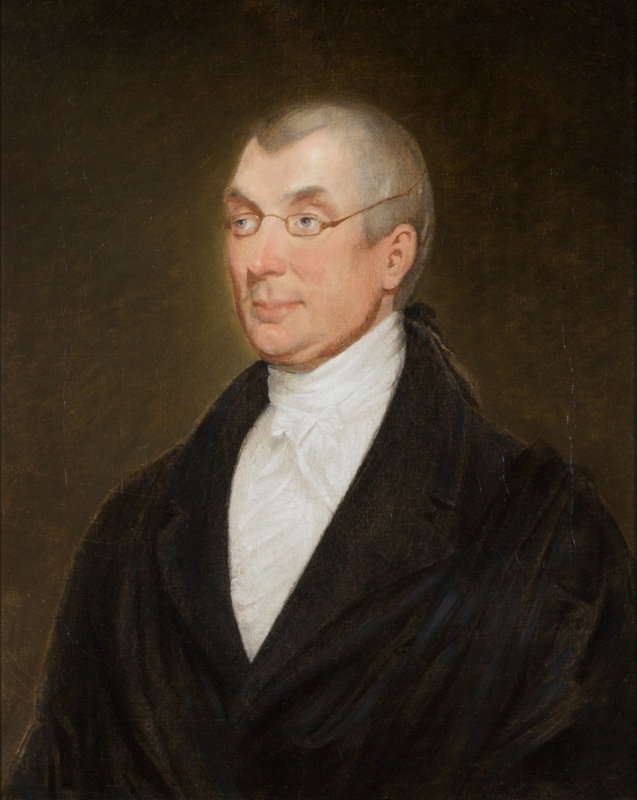 Elected on December 2, 1794, Thomas R. Morris, The Virginia Supreme Court: An Institutional and Political Analysis (Charlottesville: University Press of Virginia, 1975), 13; qualified April 13, 1795, Supreme Court Order Book, April 13, 1795, 44 and 45 (miscellaneous microfilm 3955, reel 1, Library of Virginia); birth, education, and professional career, David J. Mays, “Judge Spencer Roane,” Proceedings of the Thirty-Ninth Annual Meeting, Virginia State Bar Association¸ August 1-3, 1928, 446-464; attended William and Mary, A Provisional List of Alumni, Grammar School Students, Members of the Faculty, and Members of the Board of Visitors of the College of William and Mary in Virginia From 1693-1888 (Richmond: Division of Purchase and Printing, 1941), 34; portrait, Ray O. Hummel, Jr., and Katherine M. Smith, Portraits and Statuary of Virginians Owned by the Virginia State Library, the Medical College of Virginia, the Virginia Museum of Fine Arts, and Other State Agencies (Richmond, Va.: The Virginia State Library, 1977), 103.